Comme des Garçons PLAY dark navy and white long-sleeved t-shirt. 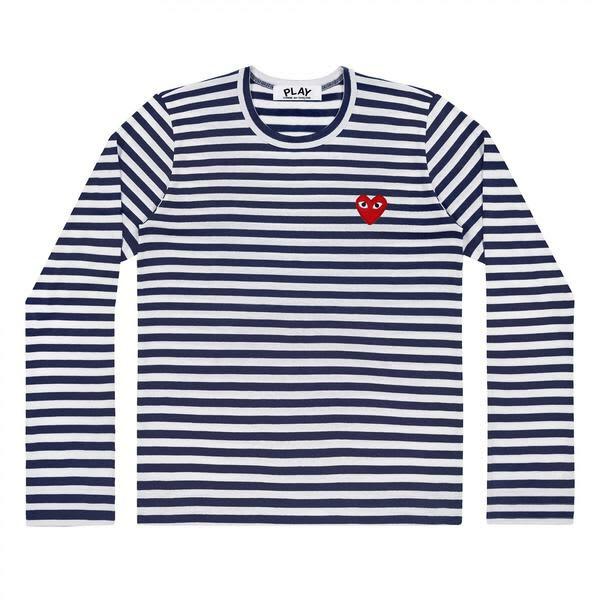 This cotton long sleeved tee features an all-over dark navy and white stripe and has the recognisable Play heart logo stitched on the chest in red. The sleeves are uncuffed for a relaxed, easy wear.